SLTEC achieved Commercial Operations Date last April 24 and formalized the completion of the 1st unit of its 2 x 135-megawatt (MW) Circulating Fluidized Bed (CFB) coal-fired power plant, with an inauguration ceremony attended by key government officials from the province of Batangas and heads of both Ayala and PHINMA. Ayala was led by our Chairman Jaime Augusto Zobel de Ayala, while PHINMA was headed by Dr. Francisco L. Viray, President and CEO of Trans-Asia and President of SLTEC. 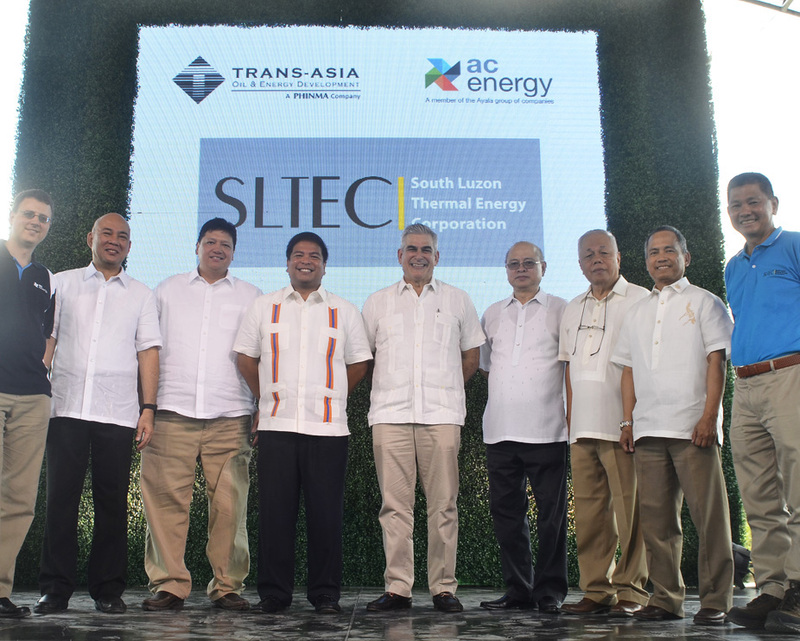 SLTEC is a 50-50 joint venture of Trans-Asia Oil and Energy Development Corp. of the PHINMA Group and AC Energy Holdings Inc. of the Ayala Group of Companies. A combined investment of PhP23 Billion was allocated for the project. Completion for the second unit is expected by year-end, which will contribute another 135-MW by 2016. “The inauguration of the plant today is a realization of the shared vision of government and the private sector to provide the necessary support our country needs to progressively move forward,” said Zobel.